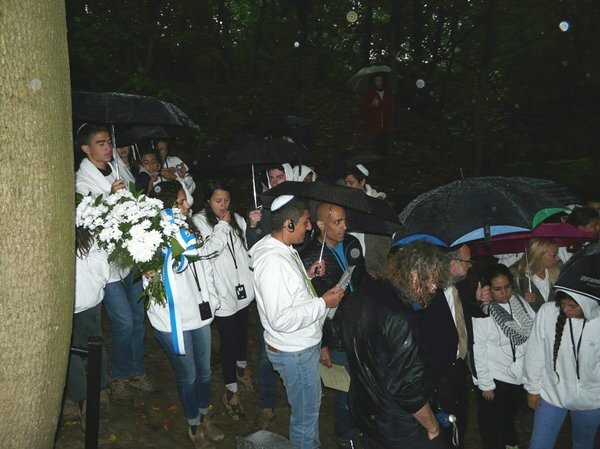 The Lasting Memory Foundation located a burial place of 13 Jews in Dzierzkowice Podwody. Next to the grave with the remains of two families, including 8 children, we set up a memorial stone. 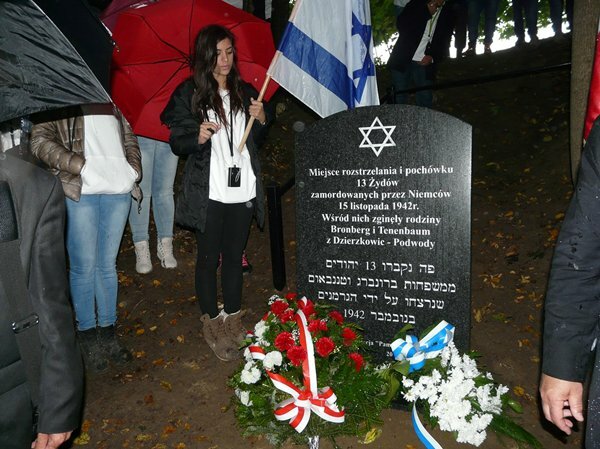 The unveiling ceremony was attended by the students of Junior High School in Dzierzkowice, the youth from Israel, local residents as well as other guests invited by the Foundation. 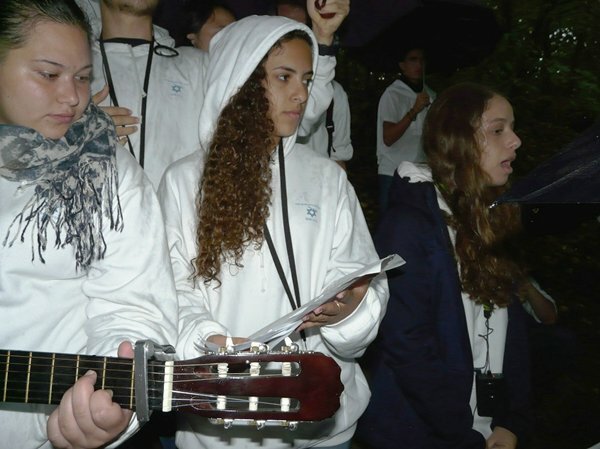 The participants paid tribute to the dead with songs, poems and prayers. 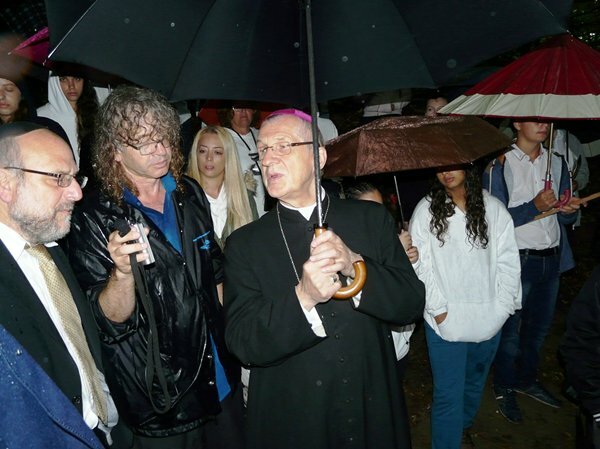 The ceremony was attended by the Chief Rabbi of Poland Michael Schudrich, Bishop Mieczysław Cisło, local authorities, the Principal of the School Complex in Dzierzkowice along with the students and teachers, the students from Gedera in Israel and the residents of Dzierzkowice. 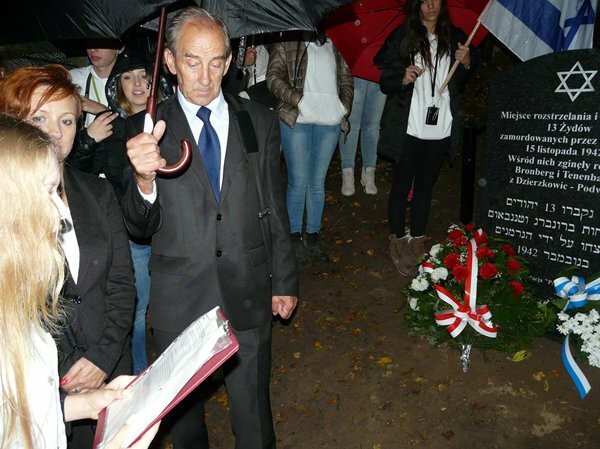 The ceremony was conducted by Zbigniew Niziński, the Foundation’s president. He spoke about the events that had taken place there in November 1942. Two Jewish families Bronberg and Tenenbaum had lived in Dizerzkowice Podwody for many years. In the summer of 1942 they refused to obey the order of the German occupants to move to the ghetto in Kraśnik. During the day, the families were hiding in nearby forest gulleys and came back to their house for the night. In the morning of November 15 more than ten Germans surrounded the house and captured all the Jews. They were transported in a horse-drawn carriage to the edge of the woods where the gulleys were located. The Jews got off the carriage one after another, a German soldier pushed them down the gulley and the other shot them to death. Next, the Germans commanded the residents of Dzierzkowice to bury the dead at the place of the murder. According to eyewitnesses, among the victims there were 8 children aged from 2 to 13. The Rabbi and the Bishop prayed together. 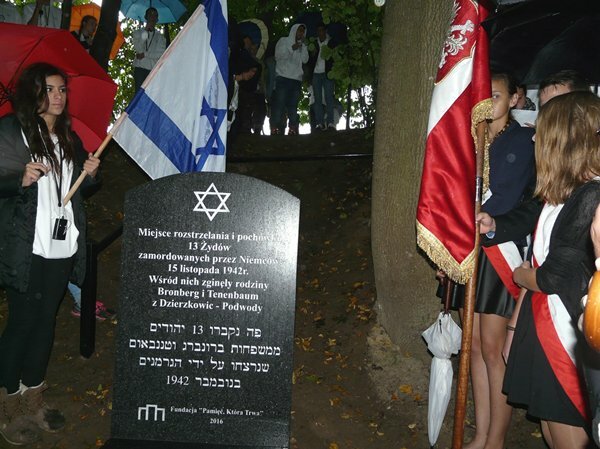 The students from Dzierzkowice and Israel performed touching songs and poems. The rain added drama to the atmosphere of the event.